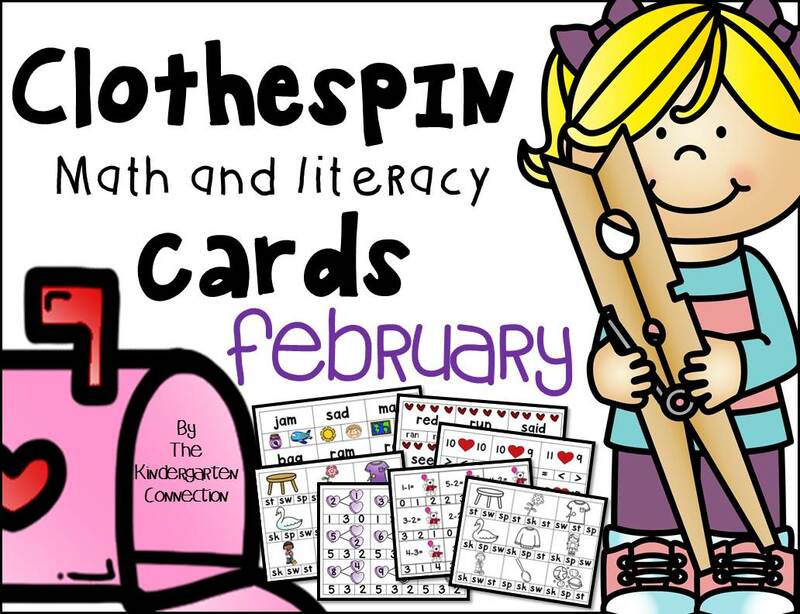 This is the February Edition of Clothespin Math and Literacy Cards. 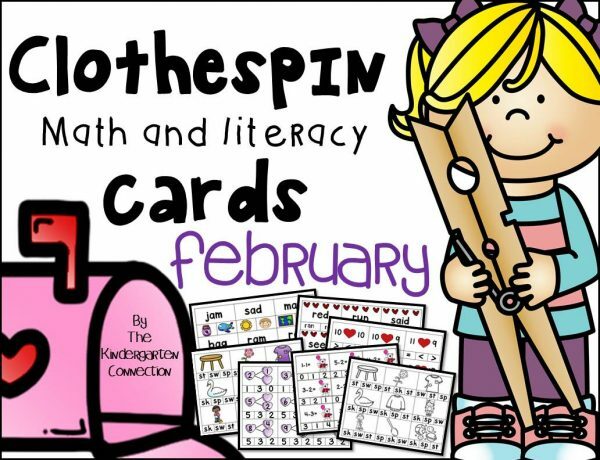 This pack is designed with Kindergarten students in mind, but could work for other students depending on their needs. Clip the ending digraph for the picture shown. Clip the matching sight word. Whisper read the sight word! Clip which number should go on the tooth to make a sum of 10. Solve the subtraction equation and clip the answer (subtraction within 10) -provide a number line or use manipulatives as needed. Black and White versions begin. 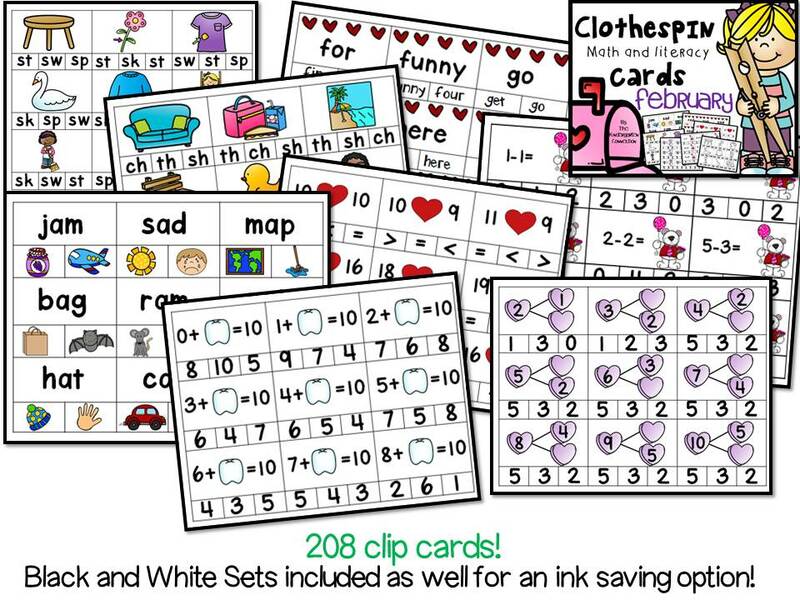 – these are an additional 208 cards, just in black and white for an ink saving option! To see a sample of the sizing and style of the cards, you can download a FREE Pumpkin Addition Set!